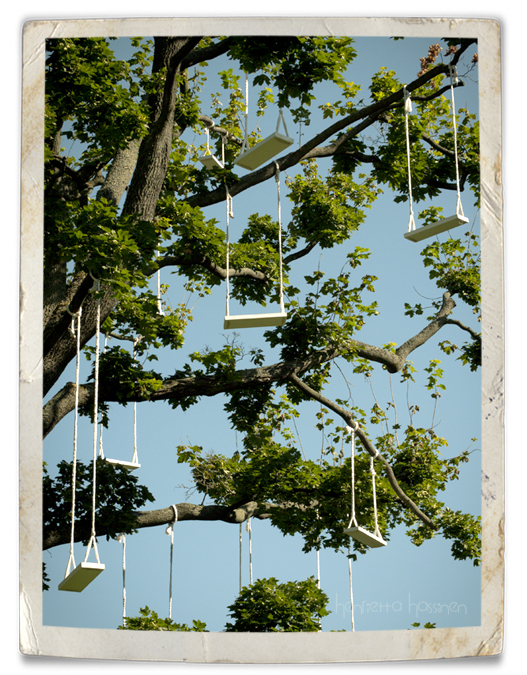 I just love the swing-tree. It looks both funny and a little bit scary! I knew I'd love the shot when I clicked over...have yet to see one of your's that I don't like. But this one needs some kind of explanation!! My goodness...that is so neat. That is really quirky and fun- love it! This is a first for me - I've never seen anything like this before! And the skillful way you've captured it makes it even more fascinating. Thank you for the explanation, Henrietta! I was going to say 'is this for real'? Great shot! That looks like a fun tree!!!! Holy cow! I've never seen so many swings hanging on a tree. This is great. So interesting! The colors and perspective are lovely. Thank you for sharing! That is so fun....love it!!! How neat is that! Thanks for linking up. Hello, what an interesting shot! It looks like something out of Alice in Wonderland.